Photographed at Clinton Railroad station. Great composition. Super in B&W. 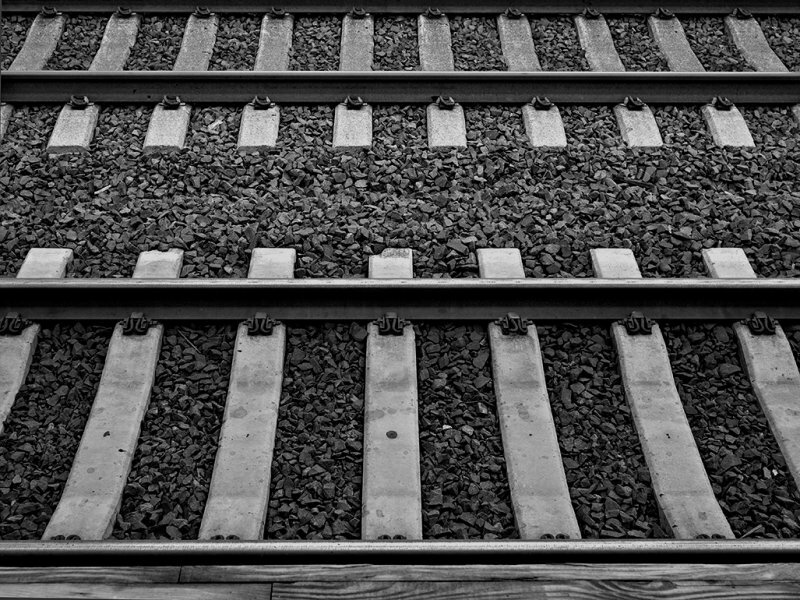 I really like this different point of view of train tracks. The composition, tones and textures are wonderful. V.
Excellent composition with many stories coming to mind! Perfect in b/w!V! Nice PoV in B&W..we still use wood ties here..
Well seen image, nicely handled.